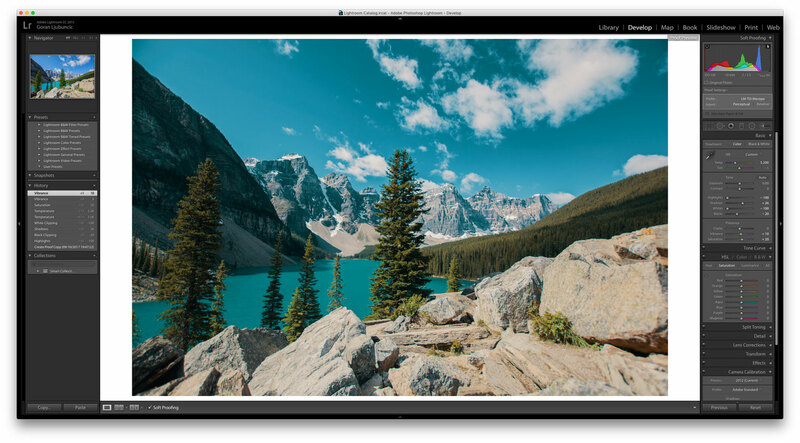 Please note, this article refers to the old ICC LUTs implementation available for versions 7.2 and earlier of Adobe Lightroom. We strongly recommend using the new .xmp profiles integration we offer. Applying LUTs in Adobe Photoshop Lightroom is a matter of selecting the appropriate LUT from the Soft Proofing menu in the Develop tab. Please follow these steps to apply LUTs in Adobe Photoshop Lightroom. 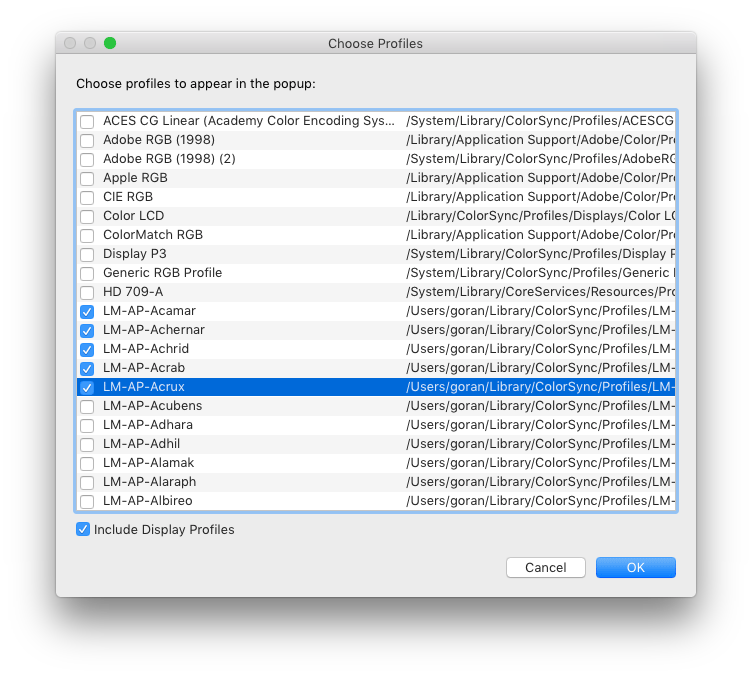 Make sure Lutify.me LUTs are installed in Adobe Photoshop Lightroom. If you still haven’t installed the LUTs, please follow the instructions in this document before proceeding. 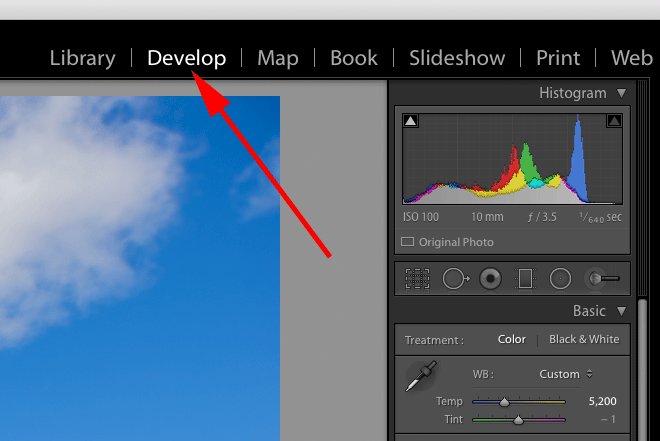 In the bottom left corner of Adobe Photoshop Lightroom select the Soft Proofing option. 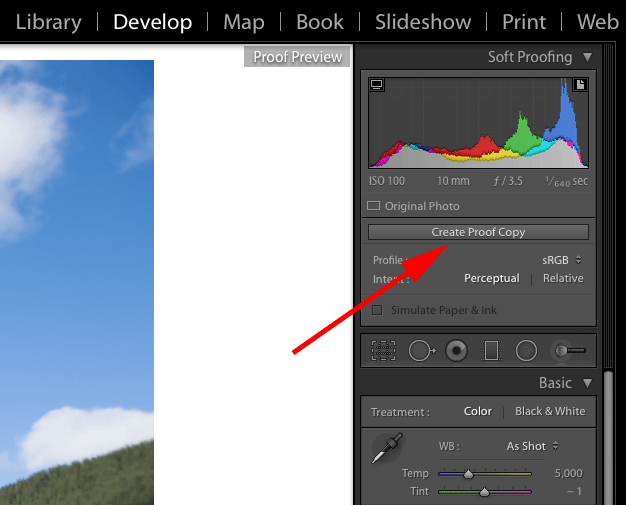 Here is the Soft Proofing option in the context of entire Adobe Photoshop Lightroom interface. Create Proof Copy of your image so your edits are performed on a virtual copy of your file instead of the original image. From Profile drop-down menu select Other. If you followed the instructions in the installation tutorial, the following window will open populated with LUTs from your package. Make sure ‘Include Display Profiles’ option is checked. Select a checkmark next to each LUT you would like to appear in the drop-down menu of Profile option and click OK. You will need to do this only once. 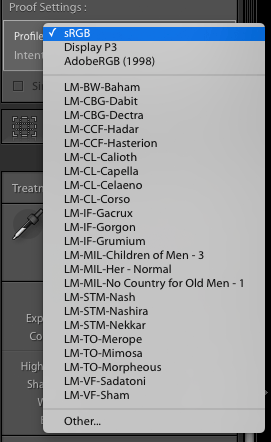 Once the list of LUTs in the Profile option is populated you will access your LUTs from the Profile drop-down menu. 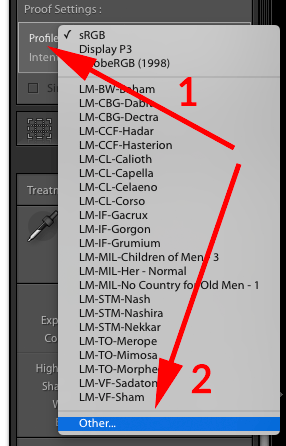 Select Other… option every time you would like to add or remove LUTs from the list of available LUTs in the Profile option. 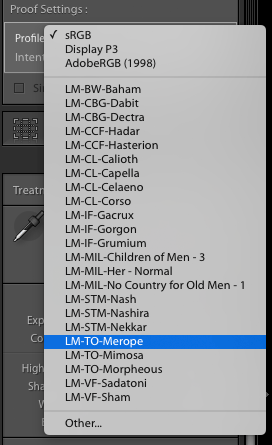 The LUTs you have marked in step 6 now appear in the drop-down menu of the Profile option. Select the appropriate LUT to apply it on the image.